It was so tasty. I can’t wait to make it again! Now that’s a southern meal. 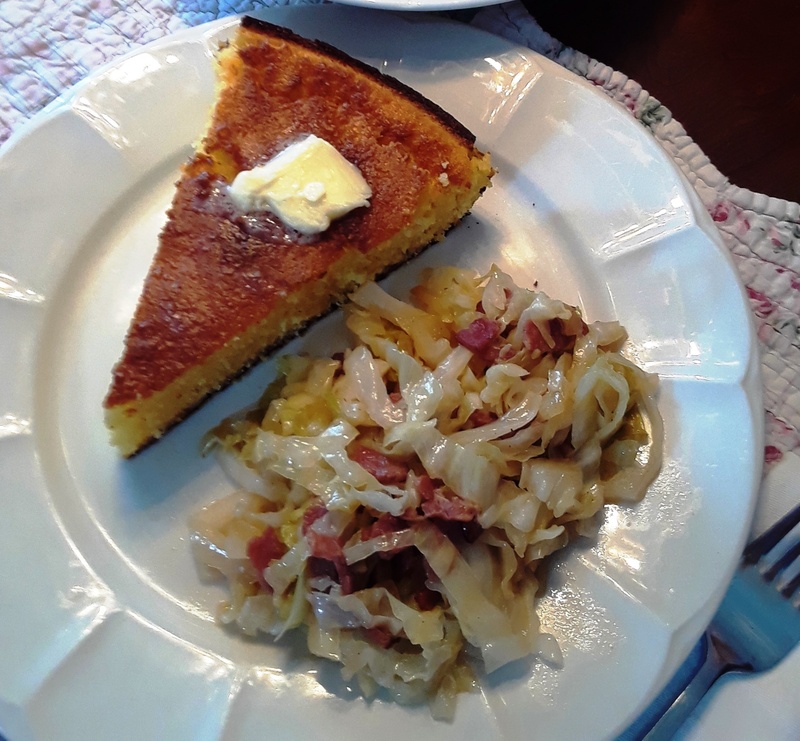 Cabbage and cornbread. Yum. Oh, yes. And what you can’t tell from this picture is that we dined on brown beans, too, but since they didn’t figure in to food from my novel, The Tedescos, they didn’t get photographed!